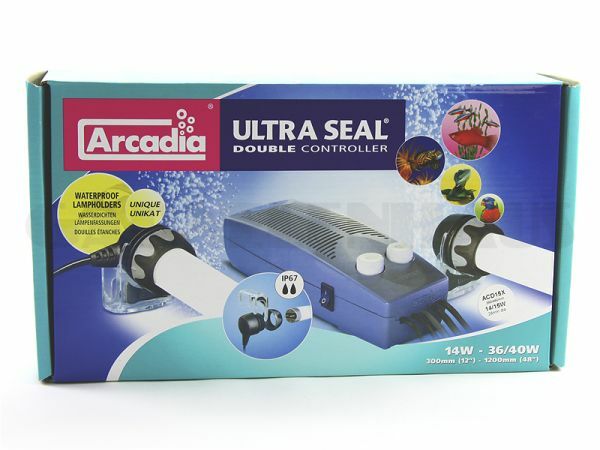 Following its successful series of fluorescent tube units, now Arcadia has developed the water-tight ULTRA SEAL® sockets to fulfill the safety standards for aquarium lights that came into force in 2008. Type: double, i.e. suitable for 2x T8 fluorescent tube with 14 to 15 watts.